If you were in the vicinity of Midtown Manhattan on the first weekend of October, then you might’ve noticed a party happening at Bryant Park. However, this wasn’t just any party, it was the inaugural Roots Picnic in New York City taking place Saturday, October 1 through Sunday, October 2. Although The Roots have hosted the event in Philadelphia for the past 10 years, this was the first time they brought the fun-filled festival to Manhattan. With food vendors and a packed lineup of amazing musicians, we're already counting down to the picnic in 2017. Artists from varying genres took the stage over the course of the two-day event and had the full attention of festival goers. We got to experience jazzy tunes from none other than Trombone Shorty, whose funky trumpet riffs and grooving band got us dancing throughout his whole set. Nile Rodgers’ band Chic took us back to the ‘70s, with their funk-infused disco beats as highlighted on their classic track "Le Freak". Iconic hip-hop group Wu-Tang Clan gave their all with a crowd-pleasing headlining set. The New York-based legends were also accompanied by Questlove and The Roots, which made it even better. Another great moment was when Alicia Keys showed up for a special surprise performance. Everyone lost their minds as her powerful voice and beautiful melodies echoed throughout Bryant Park. 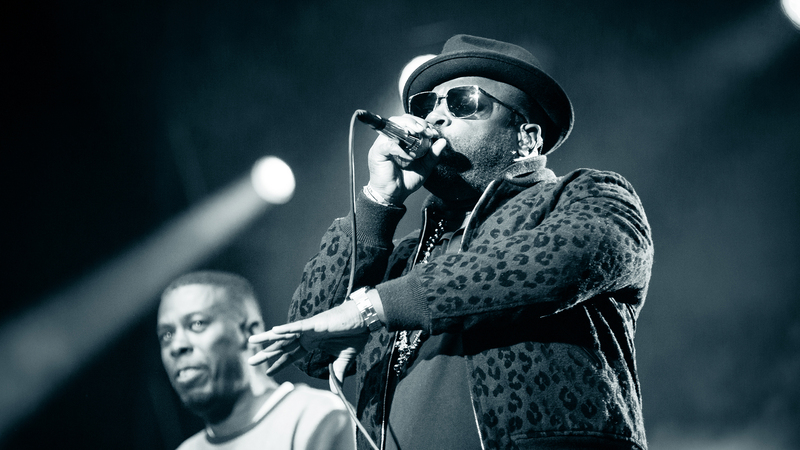 DJ Jazzy Jeff and The Roots' co-founder Black Thought dazzled the crowd with their energetic sets and kept the good times rolling as the weekend went on. All in all, The Roots Picnic had another successful weekend and we can’t wait until next year. Check out our photos below!